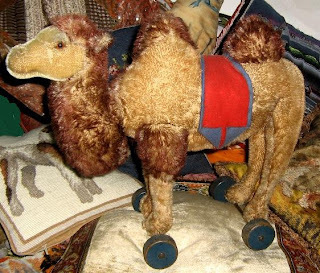 Here is a random selection of Steiff wheeled animals that I have handled in the last couple of years. Steiff produced 100s of different types of animals on wheels, cows, horses, rabbits, swans, chickens, tigers, and the list goes on. 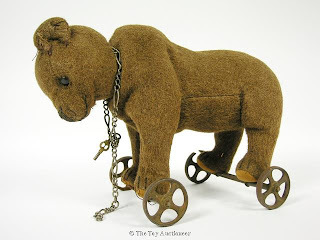 The top images is a lovely burlap bear on metal wheels, this example is probably from around 1905. He has a bit of a saggy head. 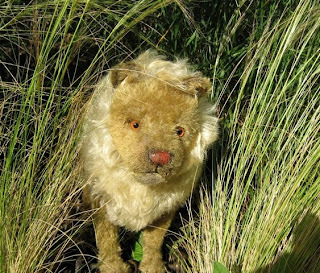 Some of the burlap bears on wheels pre-date the Teddy Bear and can be from the late 1800s. 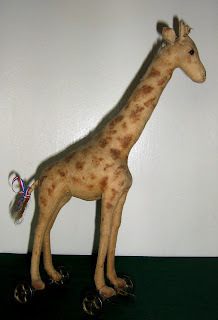 This giraffee is from my own collection, he has a lot of holes, but one of my favourite toys and wanted one for such a long time. 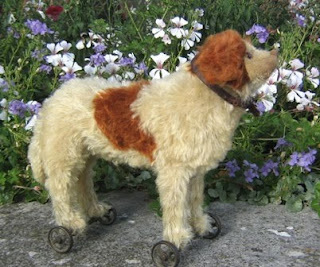 This darling St.Bernard has the most lovely up-turned nose, he has a tiny Steiff button and dates from around 1906. 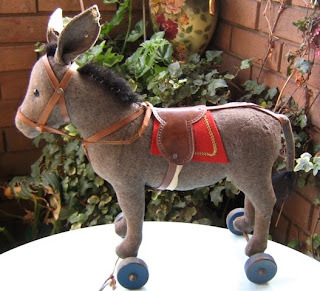 Little Donkey is from the earliest wooden wheel period, which is just prior to the 1st World War. He has his button and is also available to buy on my website. 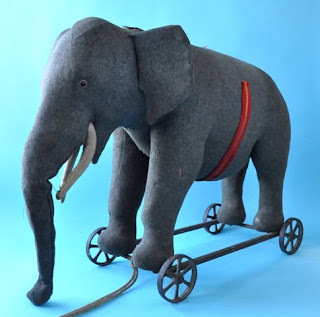 The elephant is huge and makes a lovely noise when you pull his mechanism. He dates from around 1910 and would be a great addition to any collection, he is also still available to buy on my site. 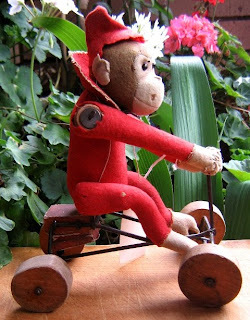 The monkey, elephant and camel are all examples of wooden wheeled toys. The monkey is about 1910, but the other two date from the 1920/30s. 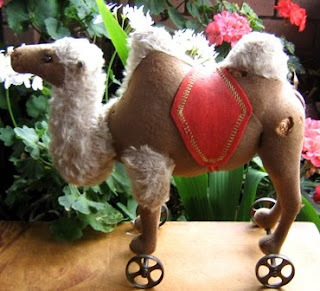 The last is another camel from around 1910. 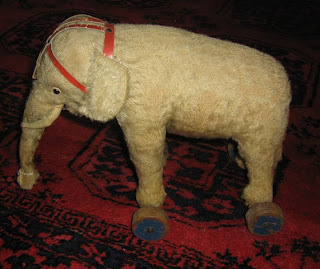 Do you have any Steiff animals on wheels from the pre-2nd world war period, why not tell me about your favourites?